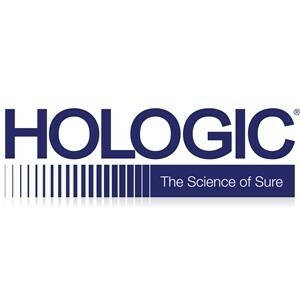 Hologic, Inc. has announced that the United States Food and Drug Administration (FDA) has granted PMA approval for the Company's hepatitis C virus (HCV) assay for quantitation of HCV viral load and confirming active HCV infection on the fully automated Panther® system. "HCV therapeutic options continue to evolve rapidly with highly effective antiviral medications that are transforming treatment of the disease, with cure rates above 90%," said Tom West, president, Diagnostic Solutions Division at Hologic. "The expanded use of the Aptima HCV Quant Dx assay to confirm active HCV infection in addition to viral load quantitation will help physicians more quickly determine the best treatment options and help improve patient care." The Aptima HCV Quant Dx assay uses real-time transcription-mediated amplification (TMA), which provides highly sensitive and specific performance for diagnostic use, as well as reliable quantitation for determination of sustained antiviral response across all major genotypes and a wide linear range. The assay runs on the Panther system, which provides full sample to answer automation and substantially reduces hands-on time with random and continuous access. The Aptima HCV Quant Dx assay joins a growing list of tests available on the Panther system in the U.S. market. In addition to an HIV-1 (human immunodeficiency virus) viral load assay, the Panther menu includes tests for sexually transmitted infections – chlamydia, gonorrhea, trichomonas and human papillomavirus (HPV). "Menu consolidation is increasingly important to clinical laboratories in their efforts to increase efficiency of operations," said West. "Expanding the range of assays that can be run on the Panther system with offerings in virology, in addition to women's health, will help our customers reach their goals." Hologic has a long-term legacy in the virology space, beginning two decades ago and spanning development of nucleic acid tests to screen the blood supply for HIV, HCV and HBV, an expertise that was applied to the development of the viral load portfolio on the Panther system. In Europe, the Aptima HCV Quant Dx assay is CE-IVD marked for diagnostic and viral load monitoring, as is the Aptima HIV-1 Quant Dx assay. The Aptima HBV (hepatitis B) Quant assay is CE-IVD marked for viral load monitoring but is not currently approved for sale in the United States. To learn more about the Aptima Quant assays available in the United States, please visit http://usaptimavirology.com.